Limoges plate decorated with gray-blue stripes and stylized flowers in the Art Deco fashion. Circa 1930. 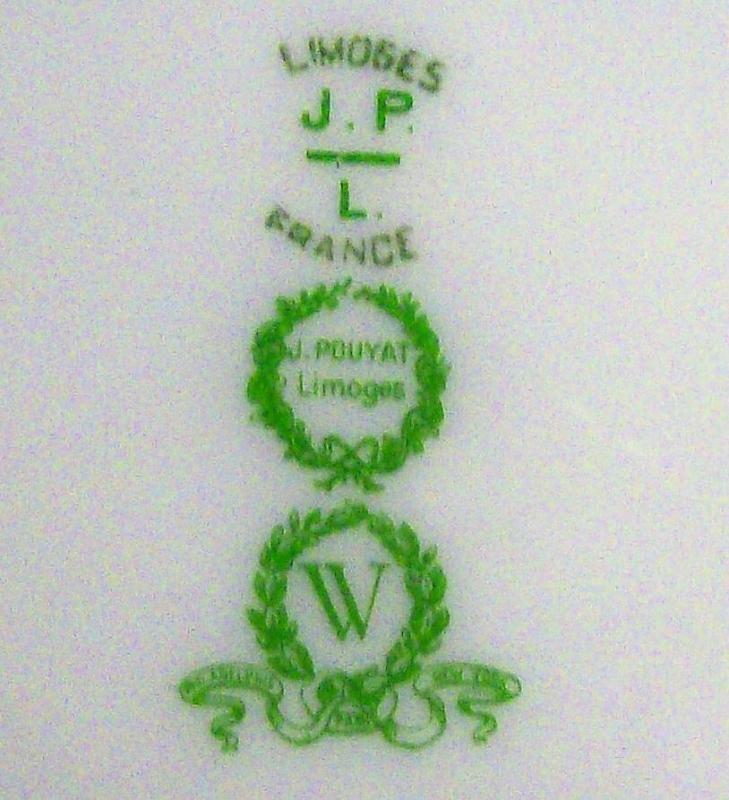 Made by J. Pouyat of France, mark used between 1915 and 1932. Measures 8.75"d. Good condition with only minor utensil marks and glaze flaws. Sold as is. Inglenook Antiques...Established 1989. 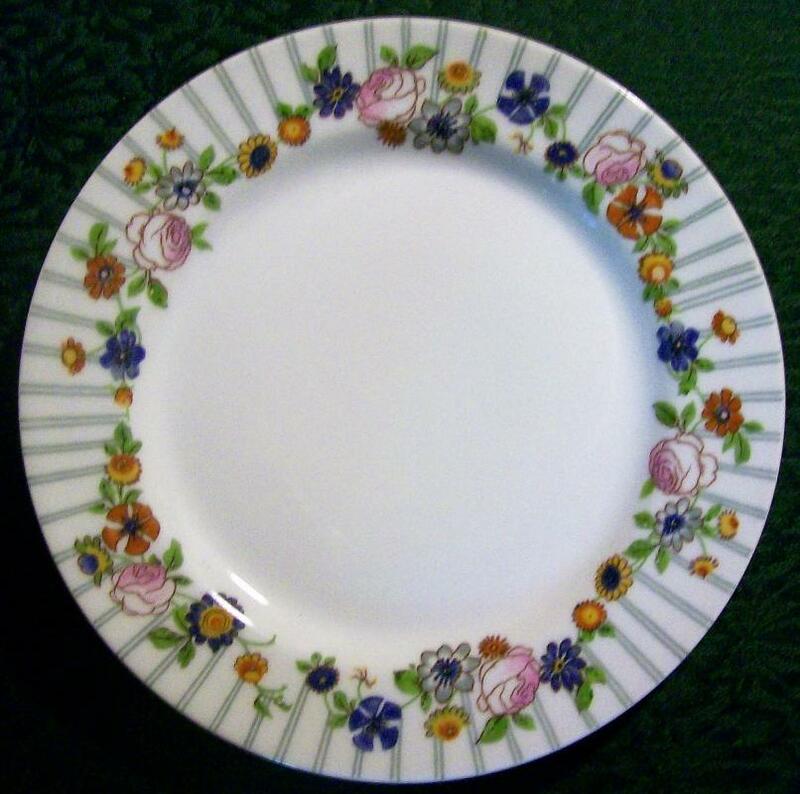 Items Similar To "Pouyat Limoges Plate Ca. 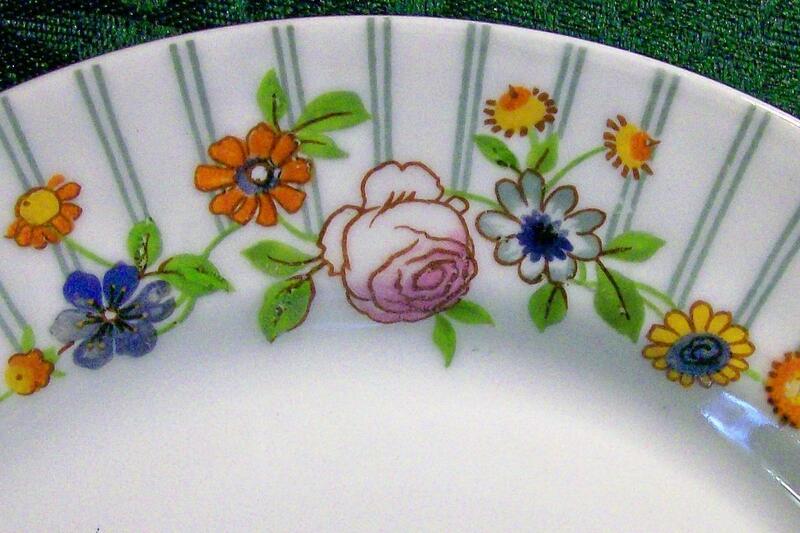 1930 Porcelain Blue Stripes & Posies"